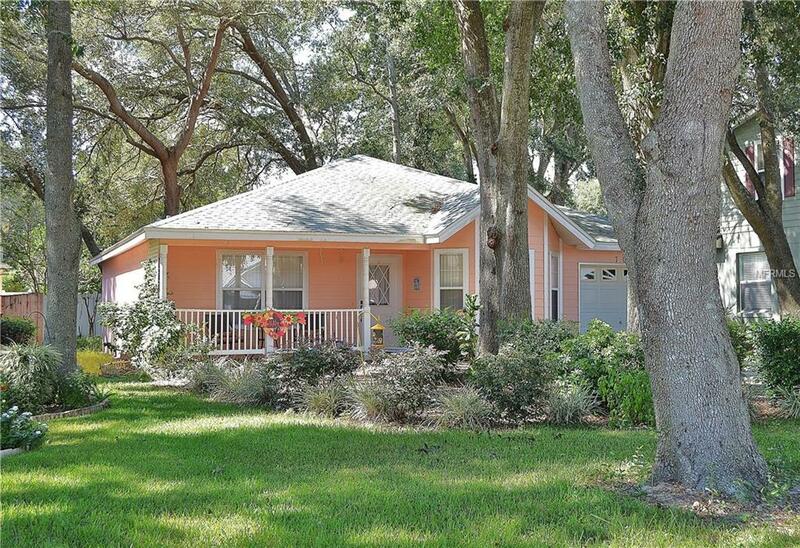 ADORABLE 2/2 BUNGALOW IN THE HEART OF EUSTIS! A true Lake County CHARMER on a quiet cul-de-sac street! OOZING curb appeal with mature landscaping and covered front porch that welcomes you home! NEW ARCHITECTURAL SHINGLE ROOF 2017 AND NEW INTERIOR PAINT 2018! Well maintained home with endless possibilities! ADD your personal touches to make this lovely home "your own"! Separate formal dining... kitchen and family room combination great for entertaining! Spacious kitchen with NEW refrigerator and complete appliance package, plenty of counter, cabinet space, closet pantry and eat-in kitchen nook! Generous size bedrooms with ample storage and closet space. Relax weekends on your covered rear screened-in porch under a canopy of oak trees! 1-car garage with opener and extra-long driveway parking pad! Dont miss out on your opportunity to own this lovely home! Convenient location to major highways, shopping and dining! Only 45 min to attractions! Community Lake Access! HURRY! TRULY A MUST SEE!